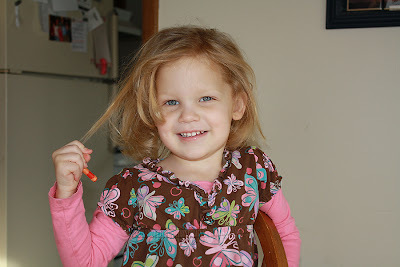 We've been wondering what Heather's hair looks like straight, so today I tried straightening it. What do you think? Tasting some of her hot chocolate. Josh sampling some of Heather's creations. Beautiful hair, Curly or straight! !